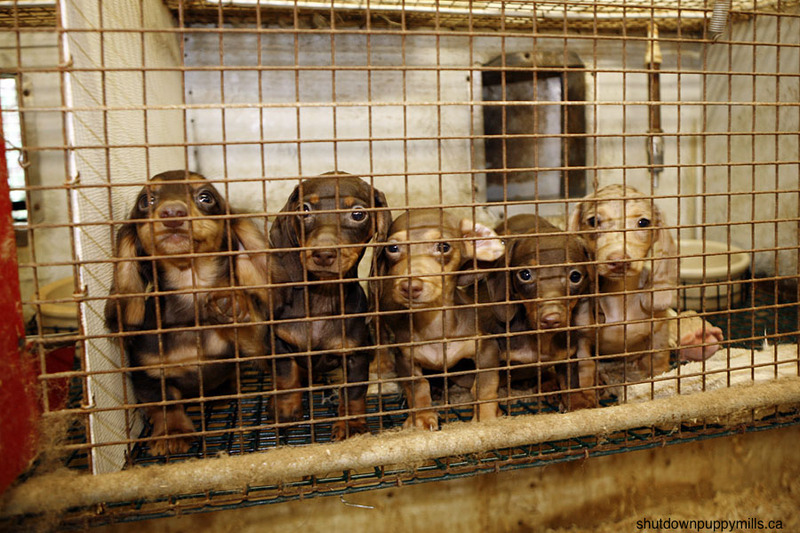 Many pet stores tell consumers the cute puppies they have all come from “licensed USDA breeders” or “local breeders” in a mis-leading attempt to give customers a false sense of security, when in fact, it really means they do get their puppies from puppy mills. Pet stores will often say the puppies are registered as a selling point which mean nothing more than the puppy’s parents had papers. However, is not uncommon for the linage records of puppy mill dogs to be falsified. Behavioral problems are also not uncommon in puppy mill puppies. Fear, anxiety, extreme shyness and even aggression are often seen in these puppies who are separated from their mothers and littermates around six weeks old – the time when they develop much needed socialization.